Twisted bangle bracelet in unique combination of gold keum-boo and shiny black finish. This round bangle bracelet is shaped from hand twisted solid sterling silver oval wire (2.5 x 1.7 mm). 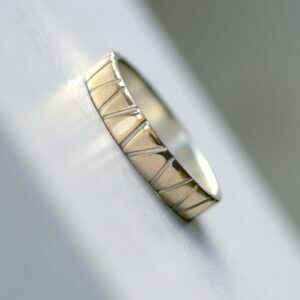 The thickness of the wire used make it sturdy and durable piece of jewellery. 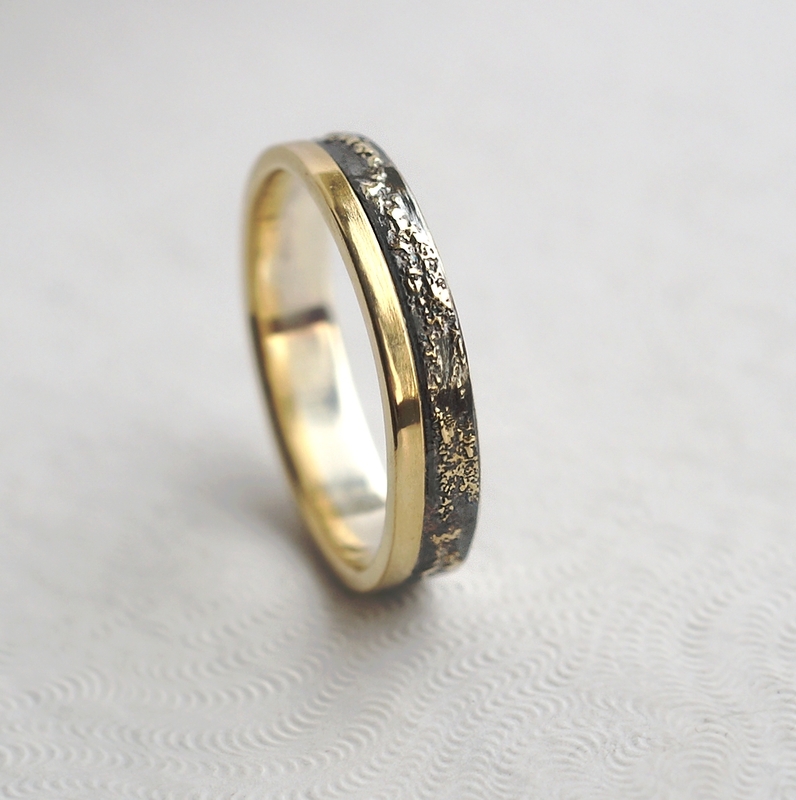 Keum-boo is an ancient Korean technique used to apply thin sheets (foil) of gold to silver. 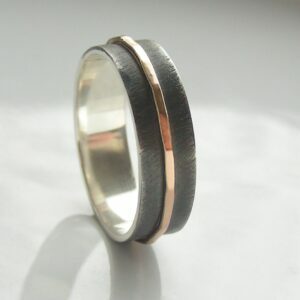 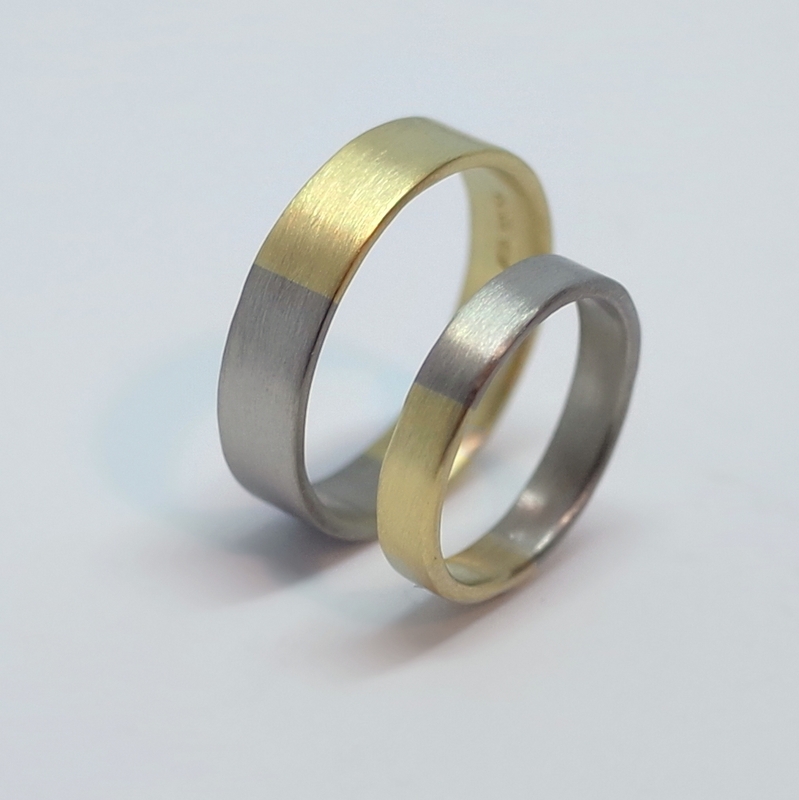 Traditionally, this technique is accomplished by first heat treating a surface of sterling silver to bring up a thin layer of fine silver. 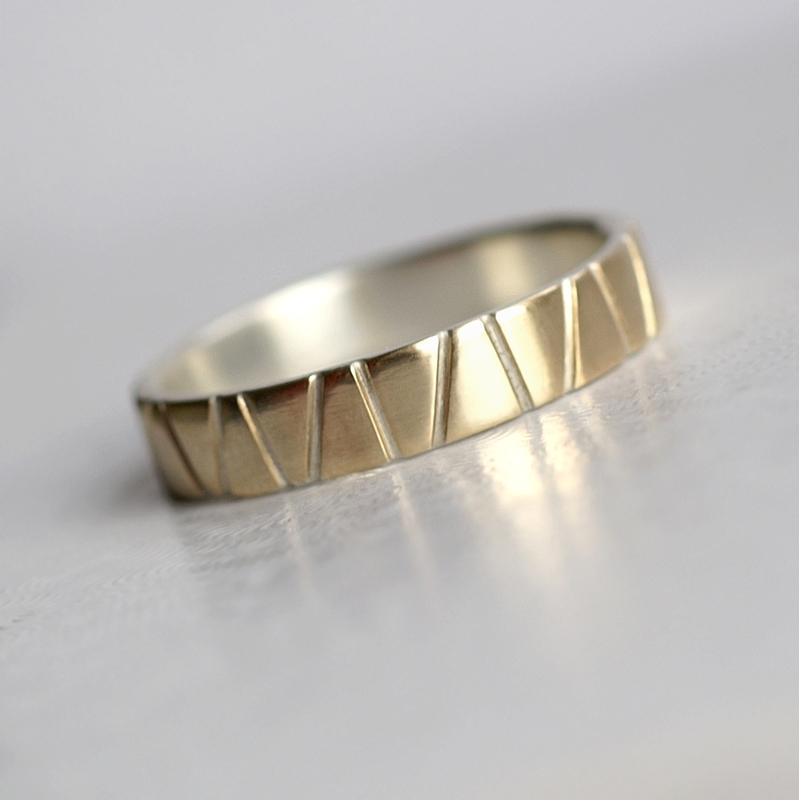 Then 24 carat gold foil is applied with heat and pressure. 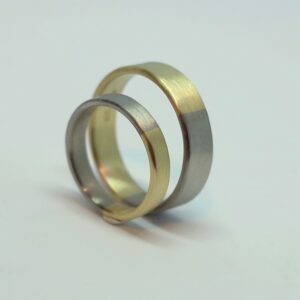 The resulting bond is permanent. 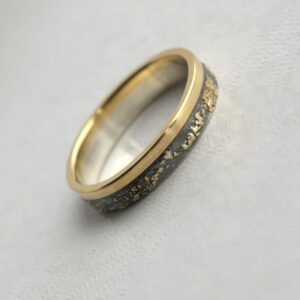 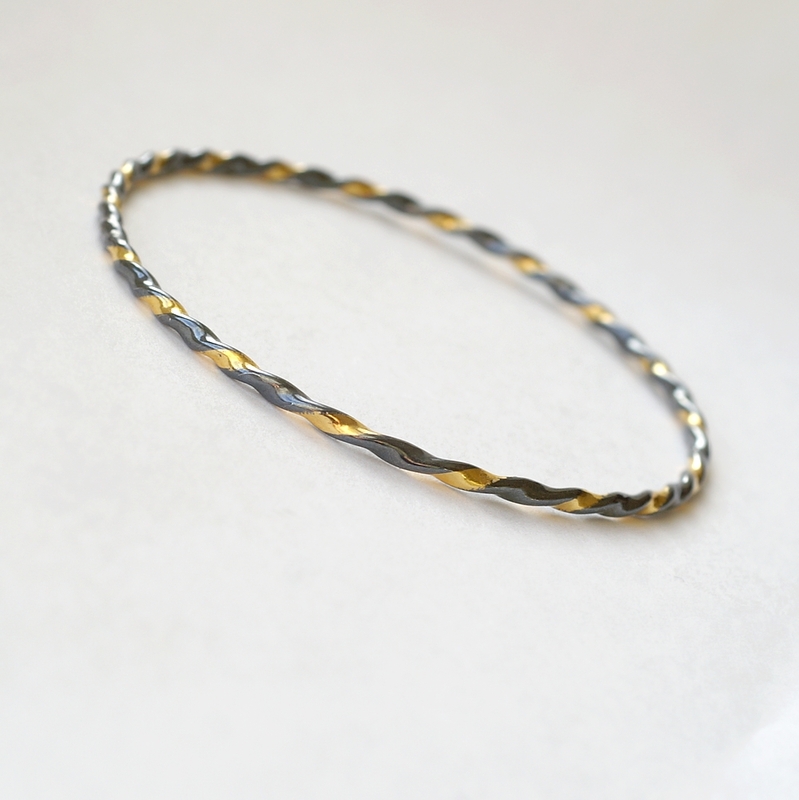 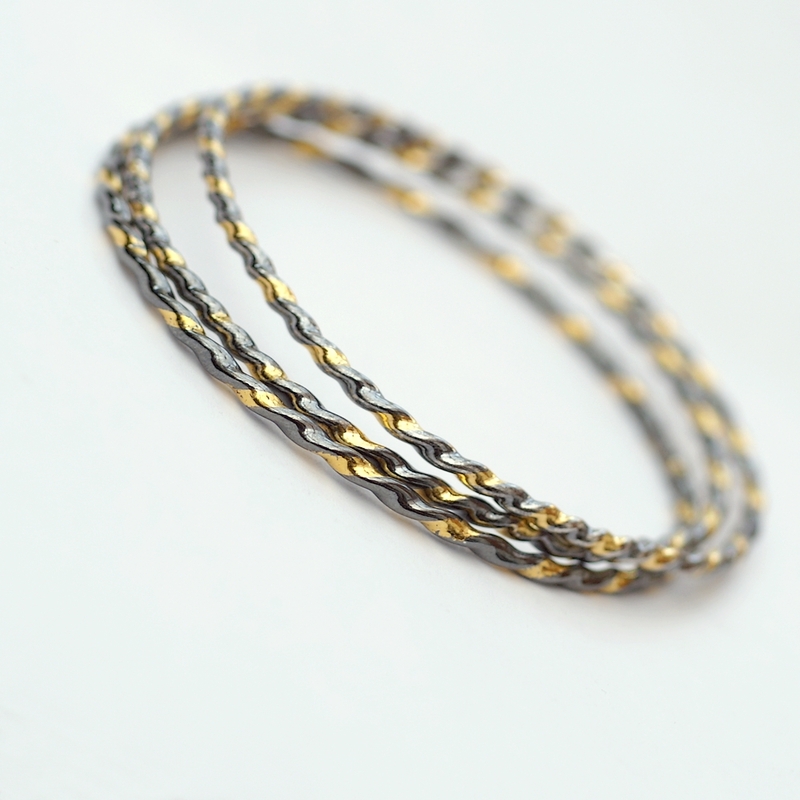 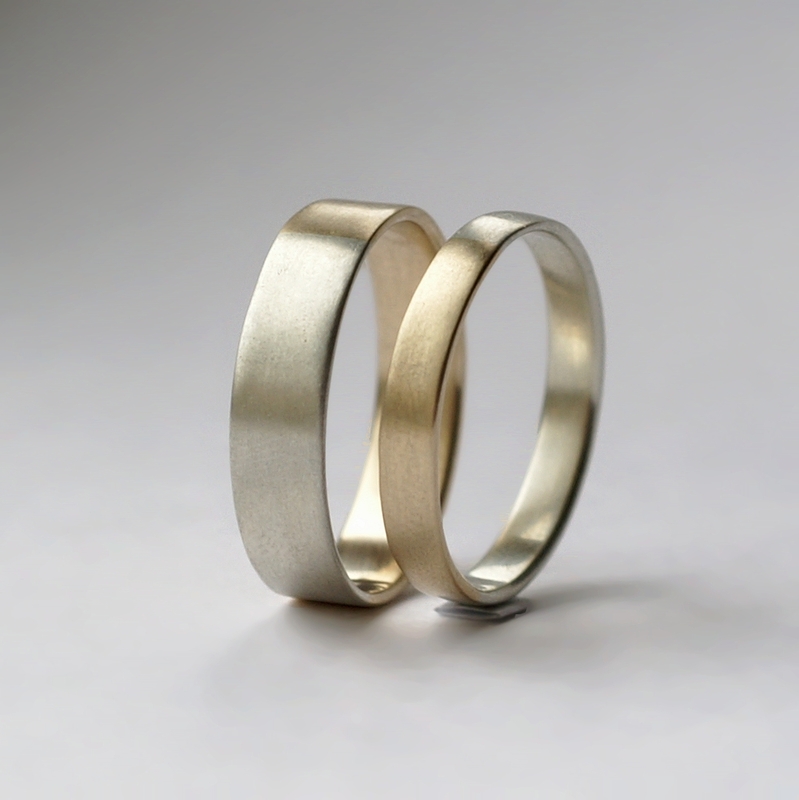 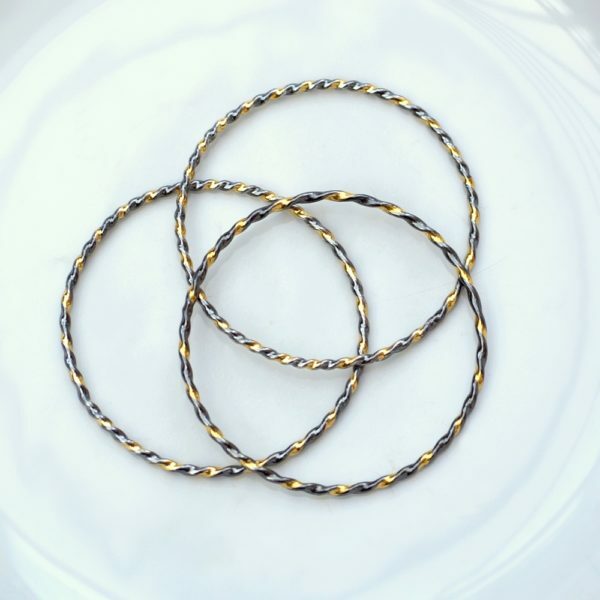 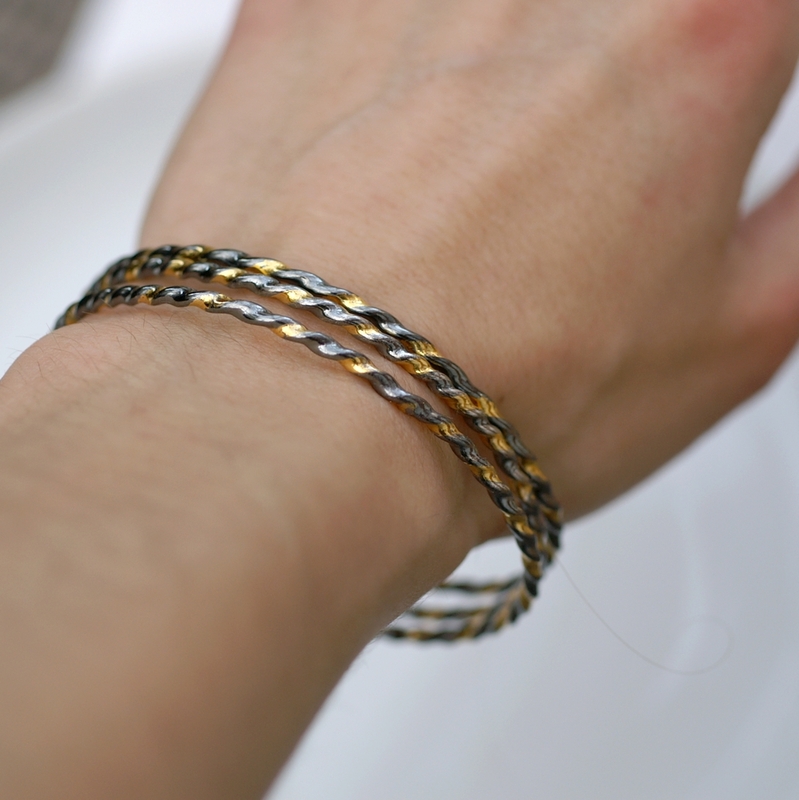 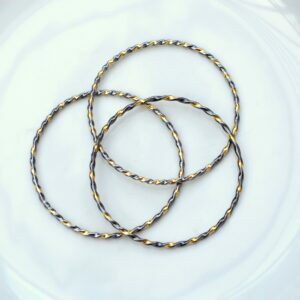 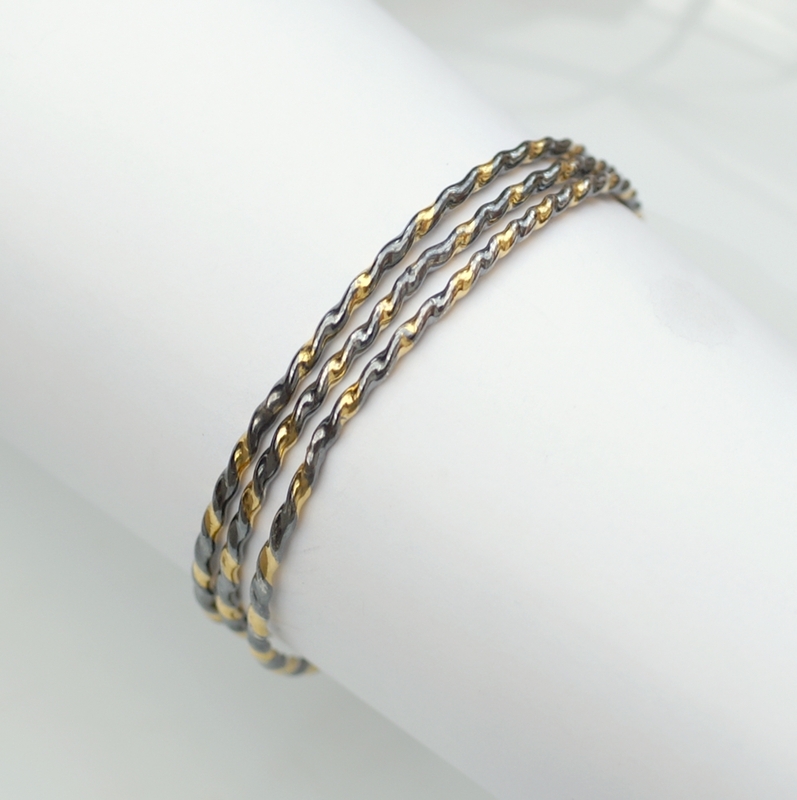 These bracelets are made as described above – with heat treated sterling silver and 24k gold (pure gold) foil applied on one side of the oval wire, which is then twisted. 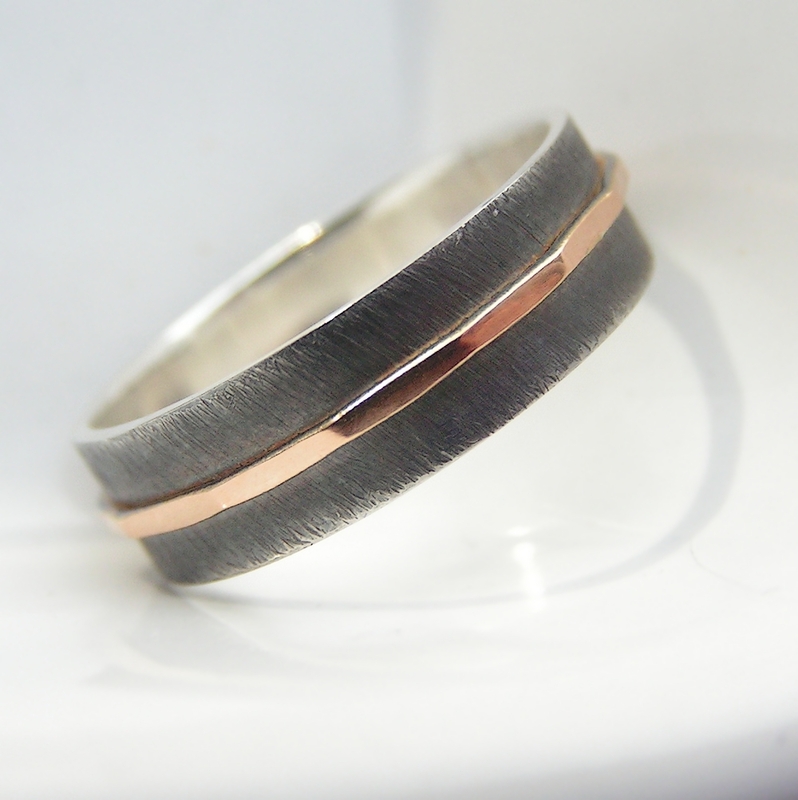 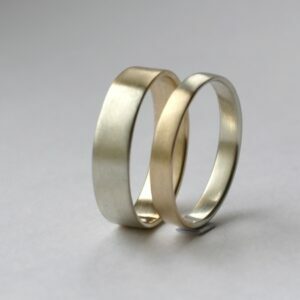 They are oxidized to enhance the contrast.